Reprint. Originally published: London: Century, 2001. THE FIFTH NOVEL IN THE BESTSELLING OUTLANDER SERIES. 1771: the Colony of North Carolina stands in an uneasy balance, with the rich, colonial aristocracy on one side and the struggling pioneers of the backcountry on the other. Between them stands Jamie Fraser, a man of honour, a man of worth. Exiled from his beloved Scotland, he is at last possessed of the land he has longed for. By his side his extraordinary wife, Claire, a woman out of time and out of place, blessed with the uneasy gift of the knowledge of what is to come. In the past, that knowledge has brought both danger and deliverance to Jamie and Claire. Now it could be a flickering torch that will light their way through the perilous years ahead - or might ignite a conflagration that will leave their lives in ashes. 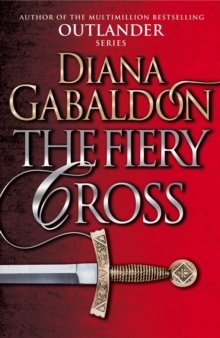 The Fiery Cross is by turns poignant, page-turning, meticulous in its historical detail and searingly passionate.